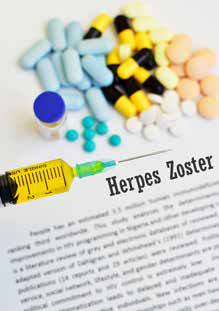 Shingles (herpes zoster) is a painful skin rash that develops on one side of the face or body. It can also cause damage to hearing or vision. The shingles vaccine reduces the risk of developing shingles and the long-term pain that can follow. Your risk of shingles increases as you age. The shingles vaccine is recommended for people age 60 and older, according to the U.S. Department of Health and Human Services. (Always check with your doctor about the right immunizations for you, and about the right age for you to receive a particular vaccine.) This is a one-time vaccination. There is no maximum age for getting the shingles vaccine. The vaccine is important regardless of whether someone has had chickenpox, which is caused by the same virus as shingles. Studies show that more than 99 percent of Americans ages 40 and older have had chickenpox, even if they don’t remember getting the disease. And even if you have had shingles, you can still receive the shingles vaccine to help prevent future occurrences of the disease.